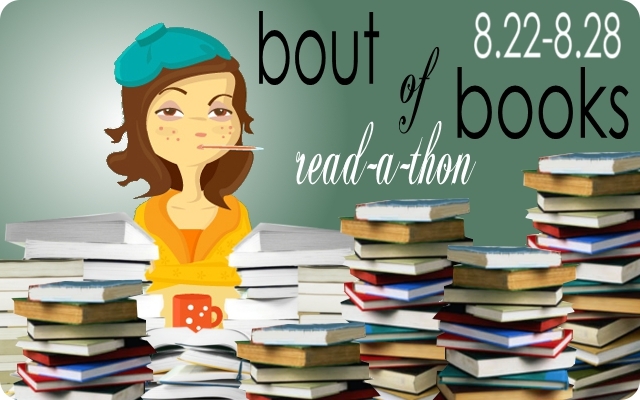 Today is Day 5 of the Bout of Books Read-a-Thon - past the halfway mark! Very exciting! I hope everyone who's participating is having lots of fun and reading some great books! Want to join in the fun? Head on over to On a Book Bender to sign up! The read-a-thon will last until Sunday the 28th. Nothing to report yet, other than it is too dang early to be up and about yet. There is nothing I'd love more than to head on back to bed, but, alas, I have to go to work. Boo. On a brighter note, my copy of the Vampire Academy graphic novel arrived in the mail the other day, so that will be easy to knock out later tonight. I read a cute kids' book at work today: Memoirs of a Goldfish by Devin Scillian. And I finally finished the audiobook of Angel Burn! Woot! Also working my way through the Vampire Academy graphic novel. Just finished the Vampire Academy graphic novel. Having read the "real" novel first, I was unimpressed with the adaptation, which seems to be my usual reaction to graphic novels. They just miss all the subtext and humor.